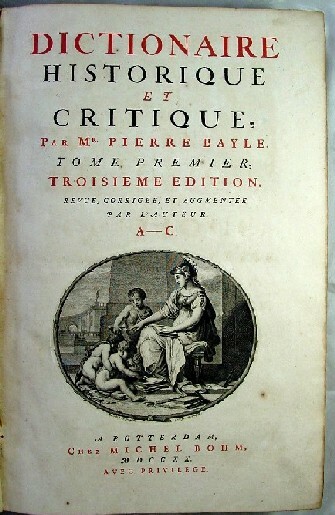 In Diderot's famous Encyclopédie Bayle is mentioned in more than 100 articles. Published by Michel Bohm 1720 in Rotterdam. Hardcover four volumes, folio, text largely in double column, woodcut ornaments and initials; engraved vignette title pages printed in red and black in each volume by W. De Gouwen after A. Vander Werf. 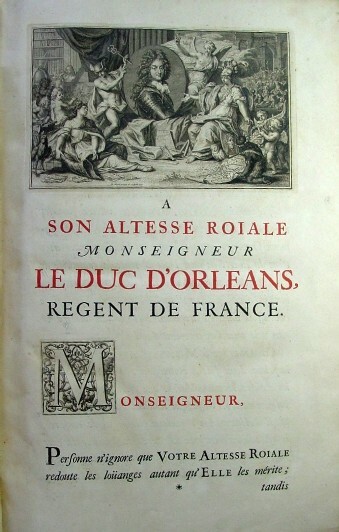 Two leaves of dedication to the Duc de Orleans printed in red and black with a fine, large engraved head-piece by Bernard Picart; and including both the cancel and the cancelland pp. 963-968 and 963*-968* in vol. 2 (both not in all copies); full calf, red and gold labels on gilt-decorated spines.. The best edition, including prefaces to both the first and second editions. Ebert 1791, calling this "The finest edition on large paper, scarce, and greatly sought after, called the Edition de régent." 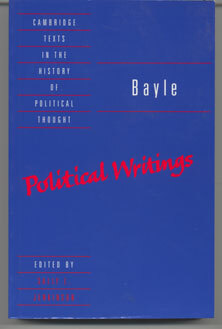 Also the best edition textually, containing Bayle"s final text, and the whole edited by Prosper Marchand. 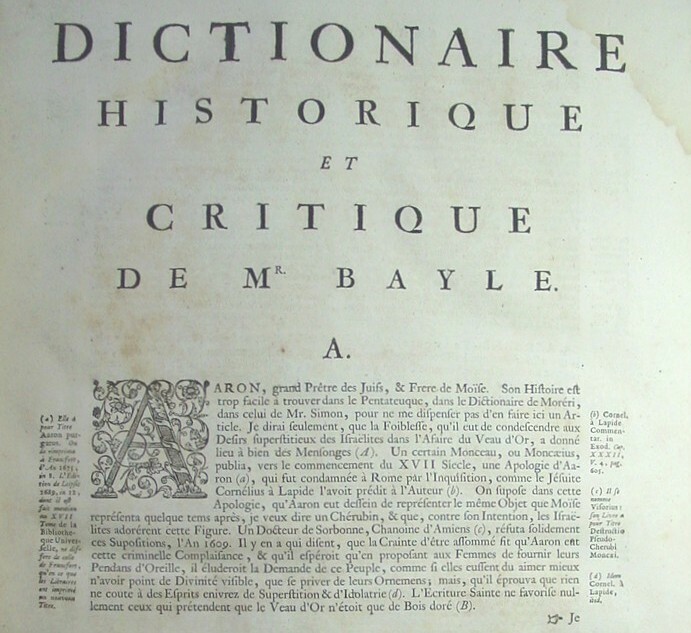 Lowndes I, 133, citing Johnson: "Bayle"s Dictionary is a very useful work for those to consult who love the biographical part of literature, which is what I love most. "Rothschild, III 2502; Printing and the Mind of Man, 155b. Pictures of the first page of the text and the start of the entries for Dante and Thomas Hobbes are shown below. 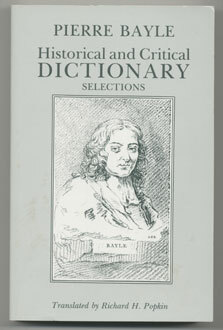 Included with the book are two contemporary books on Bayle's dictionary explaining its significance as well as providing selections from the Dictionary. The covers of the included books are shown below. The first provided an introduction and extensive selections from the Dictionary translated by Richard H. Popkin and the second book edited by Sally L. Jenkinson analyzes his political writing and again the bulk of the text is excerpts from the Dictionary. This wonderful work of the Enlightenment which was well read by the Founders of the American Republic is a foundation work of Western Civilization which sought to break the twin barriers to reason and liberty, monarchy and state established religion.